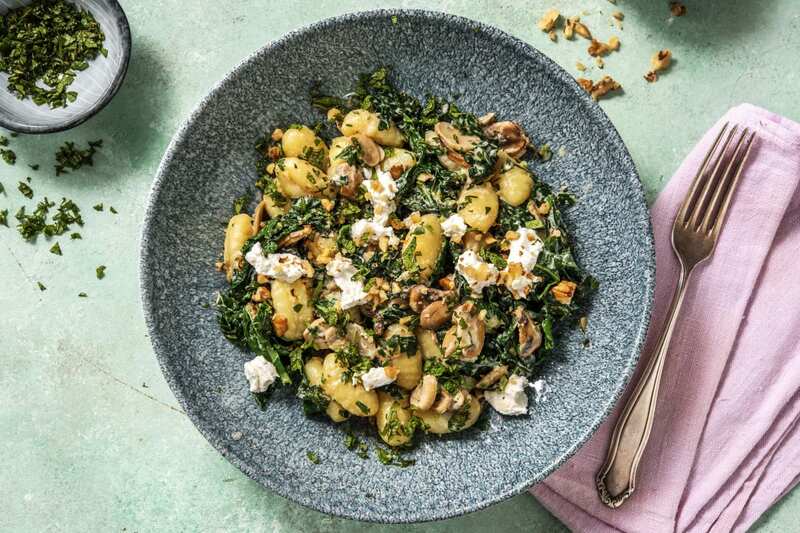 Quick, hearty, and packed with delicious flavour, our 20-minute gnocchi is the perfect go-to recipe for busy evenings. 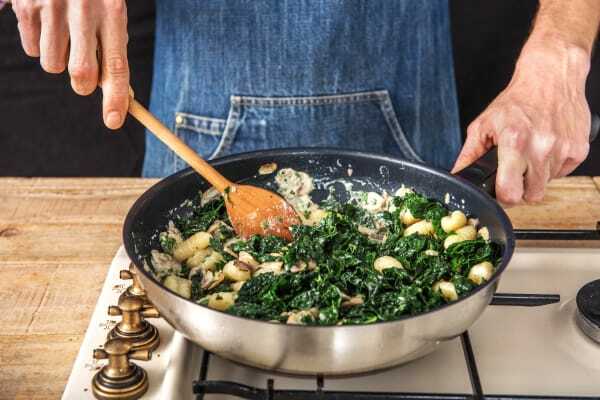 Gnocchi, cavolo nero and juicy mushrooms are combined in a velvety creme fraiche sauce before being topped with crumbled goat’s cheese. 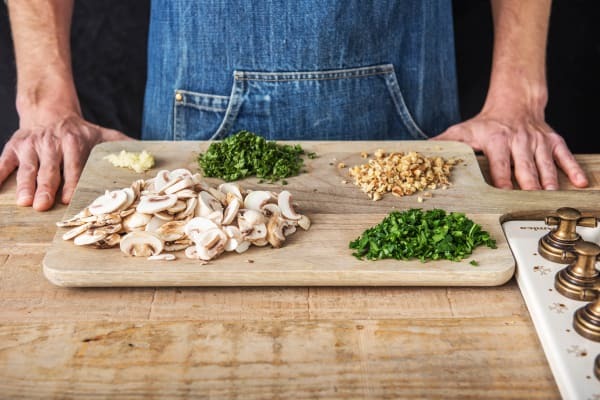 a) Thinly slice the mushrooms. Peel and grate the garlic (or use a garlic press). c) Roughly chop the parsley (stalks and all). 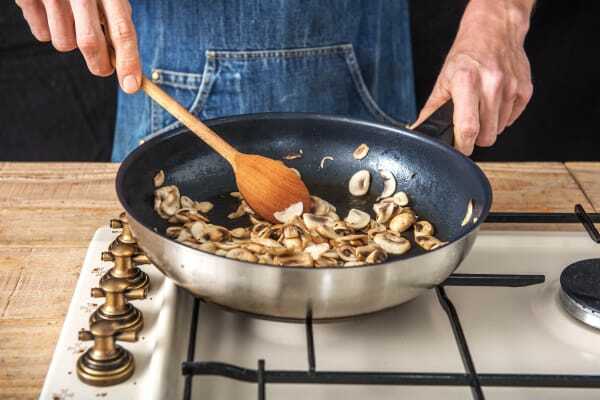 a) Heat a glug of oil in a large frying pan over high heat. 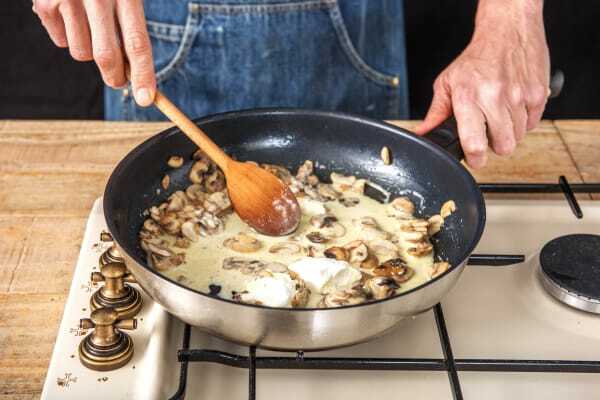 b) When hot, add the mushrooms and a pinch of salt and pepper. Fry until golden, stirring occasionally, 4-5 mins. c) Meanwhile, fill a large saucepan with the boiling water from the kettle and pop onto high heat. 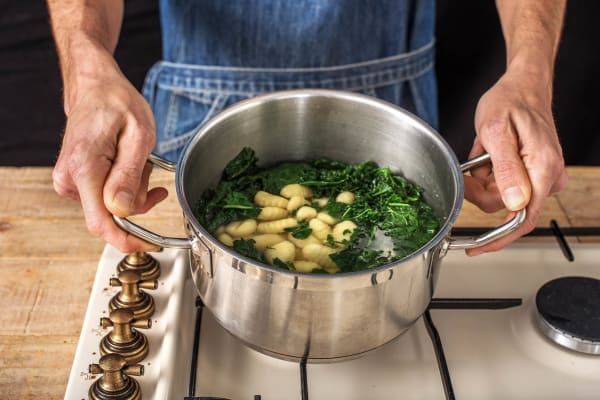 a) Add the cavolo nero and a pinch of salt to the pan of boiling water. b) Bring back to the boil and cook for 1 minute. c) Add the gnocchi (see ingredients for amount). d) Boil for 3 mins, then drain in a colander. 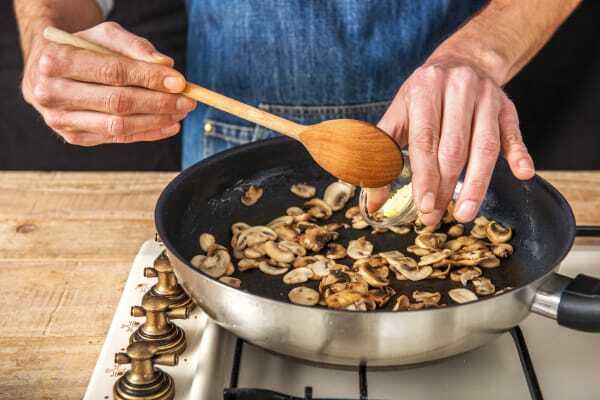 a) Reduce the heat slightly and stir the garlic into the mushrooms. b) Cook for 1 min, stirring occasionally. a) Stir the crème fraîche into the pan. b) Bring to the boil, then lower the heat and simmer untill thickened slightly, 1-2 mins. c) Crumble in half the goats cheese. Stir to melt and remove from the heat. d) Mix in the parsley. a) Add the drained gnocchi and cavolo nero to the sauce. b) Stir to coat the gnocchi. Season to taste with salt and pepper. TIP: Add a splash of water if it needs it. c) Share between your bowls and crumble over the remaining goats cheese. DIG IN!